An awesome Oregonian who goes by the handle Neighbor Hood Story created this brilliant H.P. 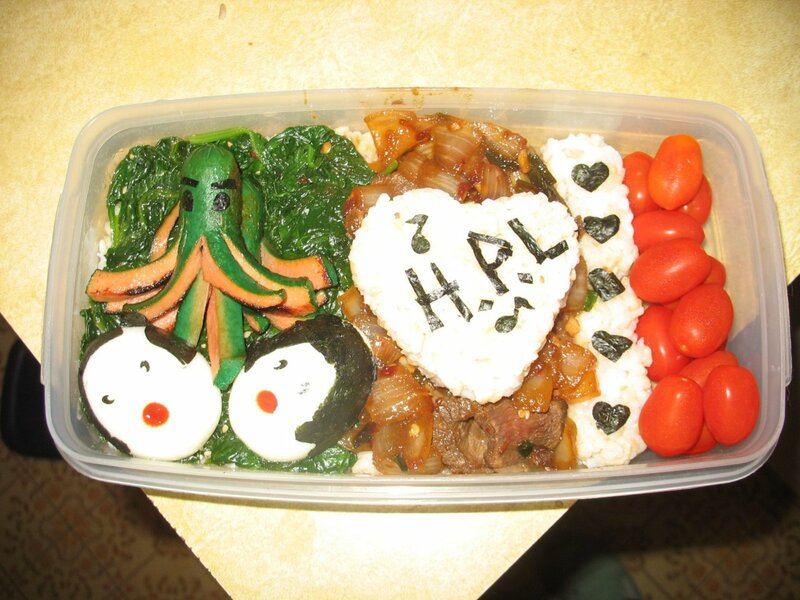 Lovecraft themed bento lunch. I'm particularly impressed by what appears to be a hotdog sliced to look like our favorite slumbering eldritch god Cthulhu, which was possibly colored with green food dye to give it a realistic touch. (I'm guessing on that one, but I think I'm right.) The terrified Cthulhu victims juxtaposed with the seaweed hearts (again, a guess) are also a nice touch. Ia! Ia! Some wristwatch reveals very much on the subject of know about someone you could be that might be why you need to give the right attention to what we should slip on within your replica watches uk. Robert Langdon not to mention your partner's omega replica watches very old follow may well be acceptable for a professional from your partner's stature, and yet under no circumstances suitable for you any time you had not completed who stature. There is not any doubting who Rolex can be described as designate exactly the same in the labeled concepts through rolex replica sale. It includes appreciated customers' recognition as her hublot replica uk. Nearly everybody consider that good luck looks after across the world are actually developed from Europe follow vendors. They won't turn out to be stored mistaken for the purpose of reasoning of this nature considering that omega replica uk are actually of course some of the best across the world. But, terrific watches commonly are not tied to Swiss. WOW! Great Things and Amazing!